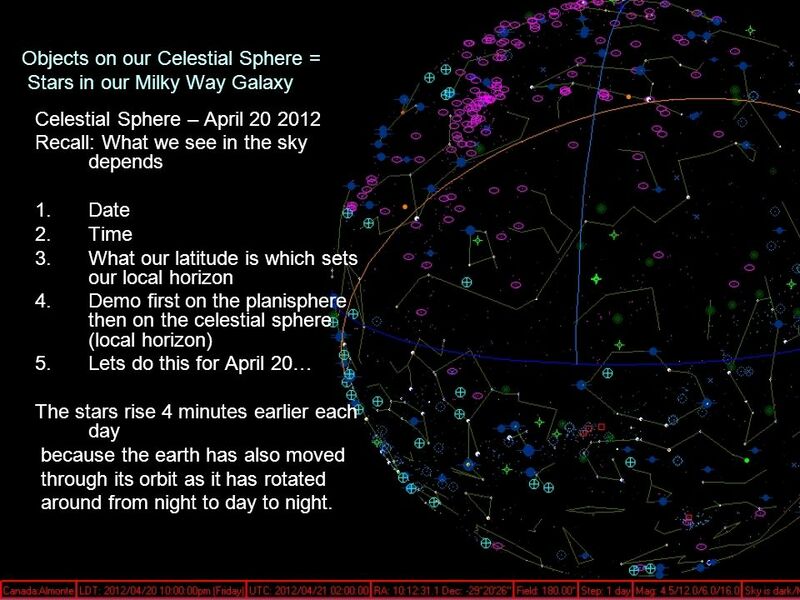 Celestial Sphere – April Recall: What we see in the sky depends Date Time What our latitude is which sets our local horizon Demo first on the planisphere then on the celestial sphere (local horizon) Lets do this for April 20… The stars rise 4 minutes earlier each day because the earth has also moved through its orbit as it has rotated around from night to day to night. 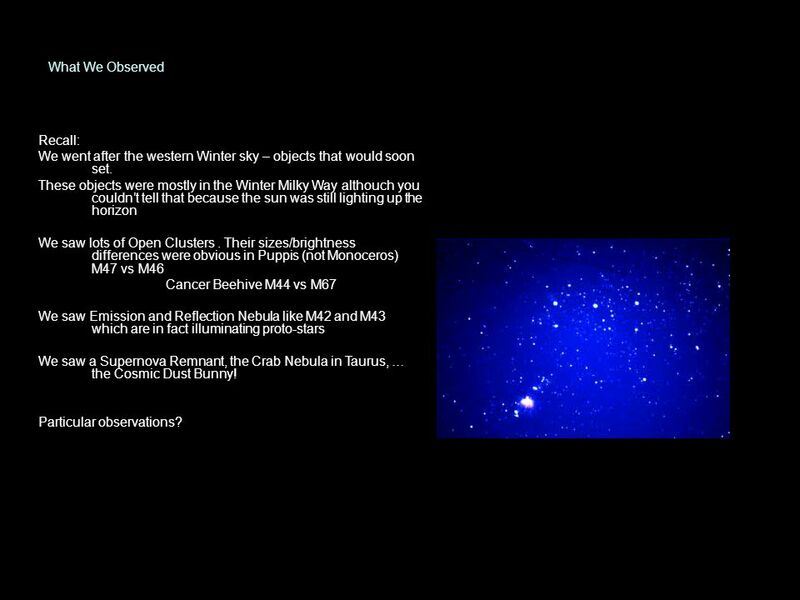 9 We went after the western Winter sky – objects that would soon set. 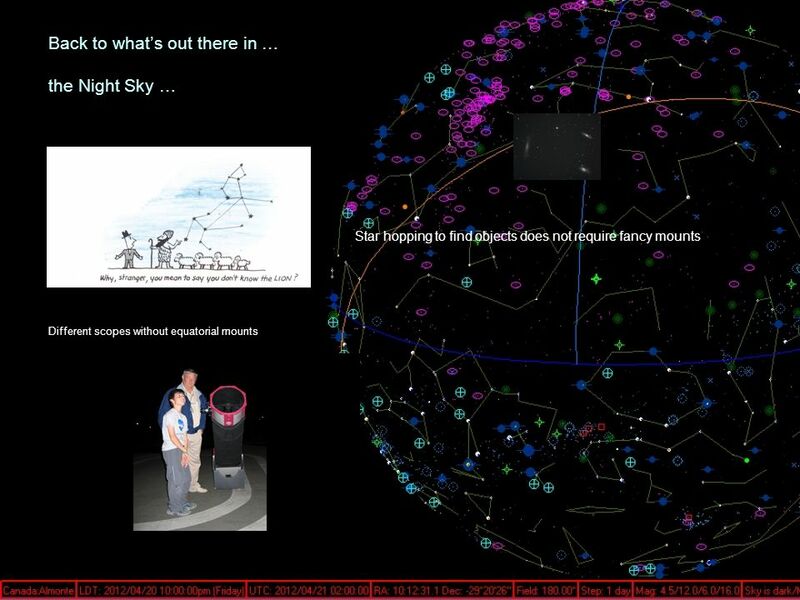 Galaxies Globulars Distance dimming Log When we look at Open Clusters, we are looking into the disk of the Milky Way between 500 – 1000 light years distance. 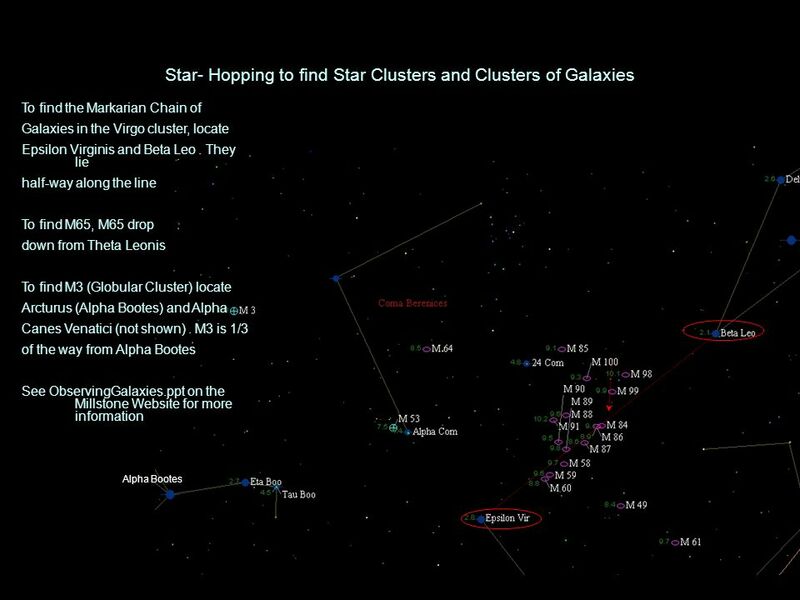 It turns out we are looking at two different spiral arms – Auriga Open Clusters are in the Perseus Arm, whereas the Orion/Puppis clusters are in the Orion Arm When we look at Globular Clusters we are looking 10x more deeply out of the disk of the galaxy in a halo around it – M3 is one example Finally when we look at Galaxies, we are looking outside of our own galaxy > 10,000,000 light years The brightest objects are the smaller magnitudes! ! 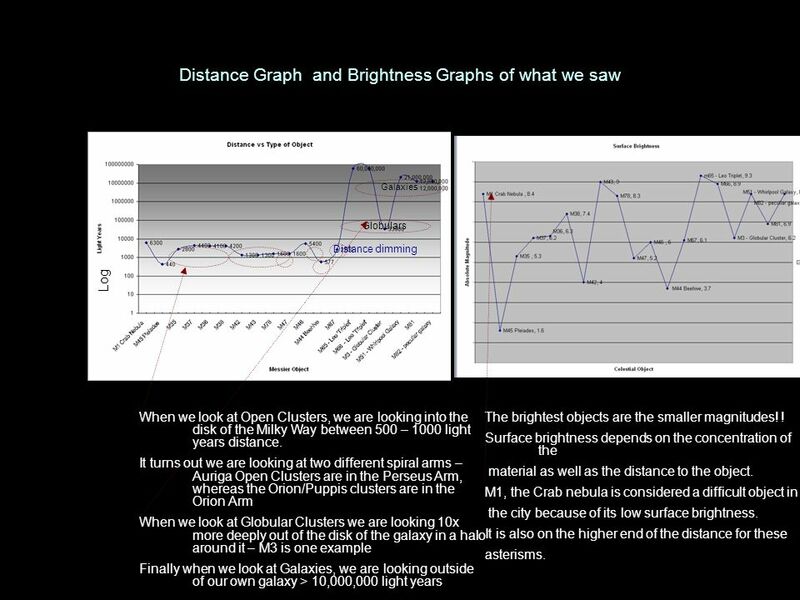 Surface brightness depends on the concentration of the material as well as the distance to the object. 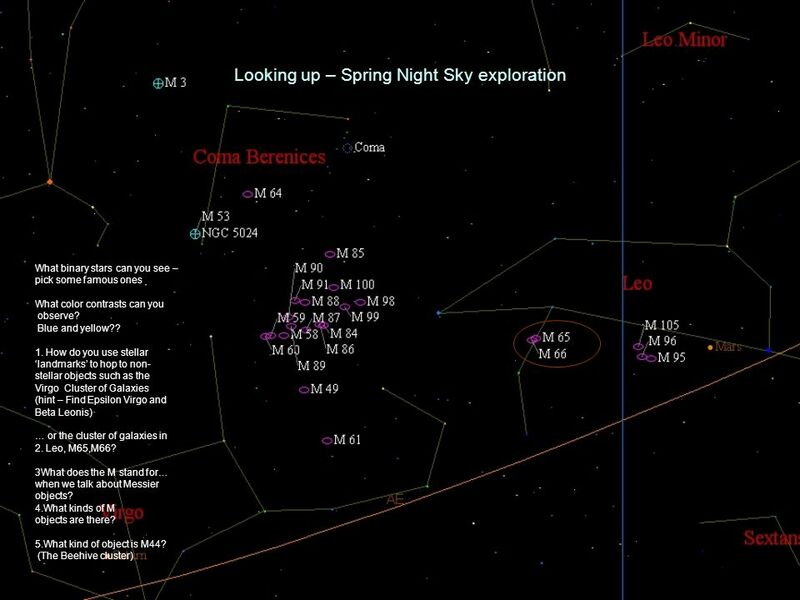 M1, the Crab nebula is considered a difficult object in the city because of its low surface brightness. 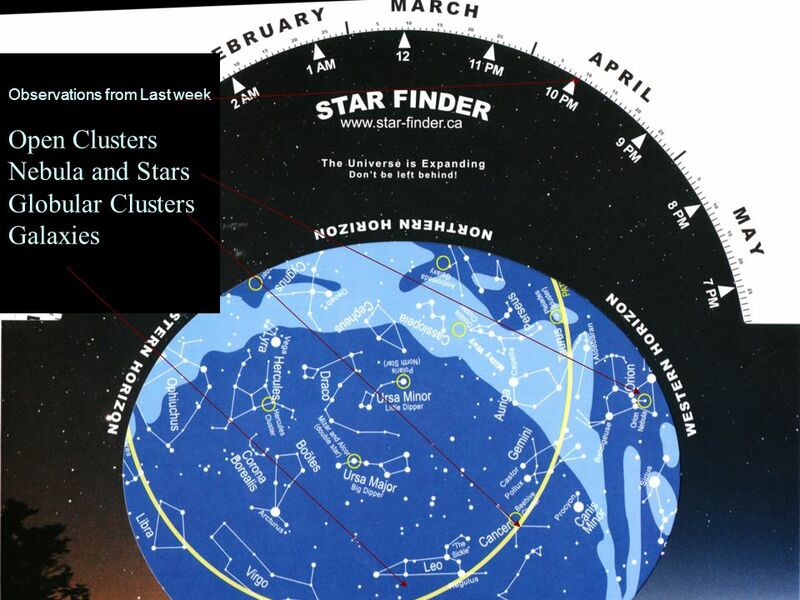 It is also on the higher end of the distance for these asterisms. 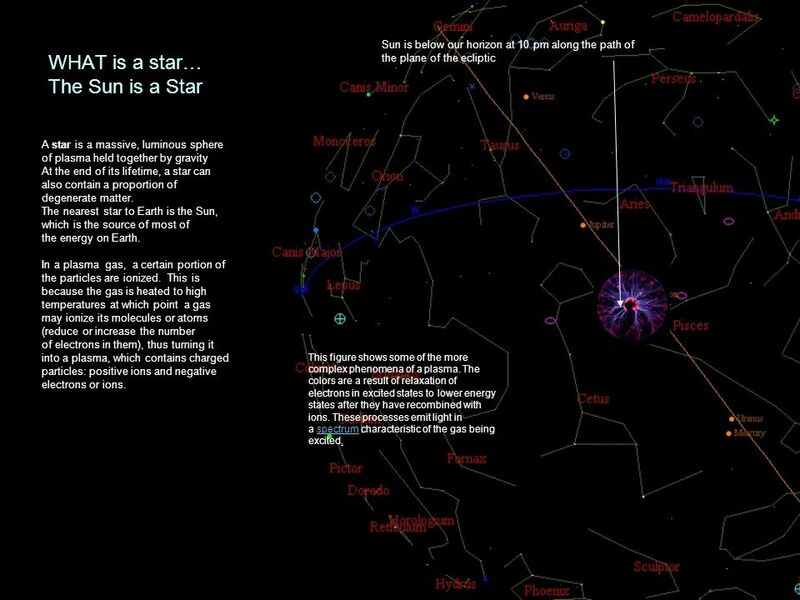 14 pointing to the Pole star Polaris. 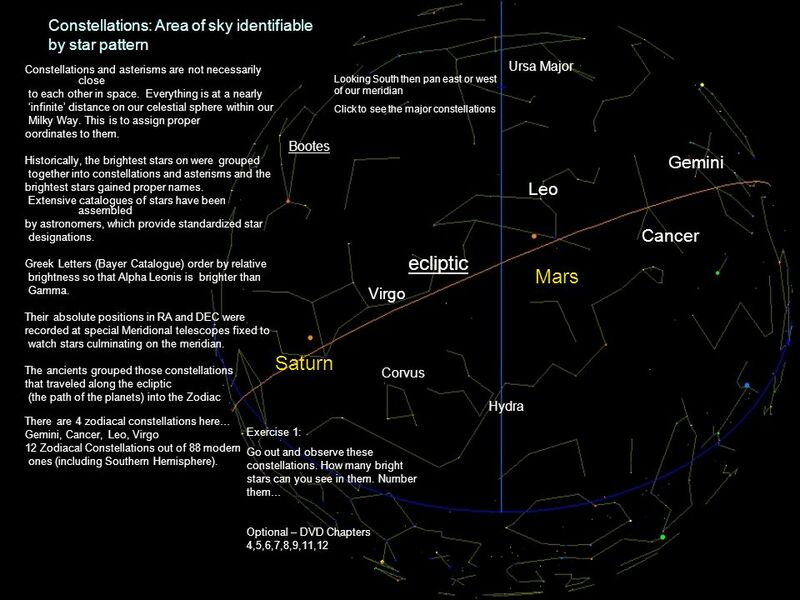 Once we are aligned, we only have to nudge the Right Ascension axis (around the polar axis), in order to keep the object centered in the eyepiece. 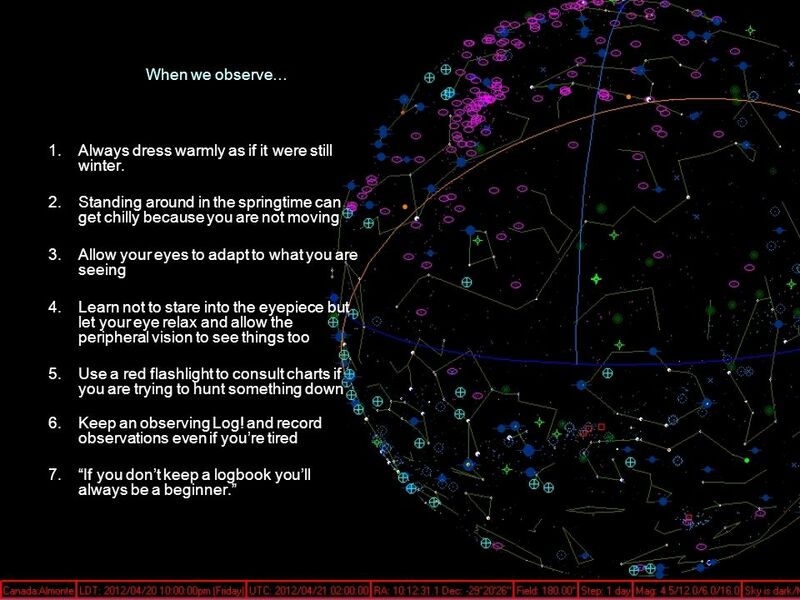 Because when we are aligned with our polar axis we track the sky. 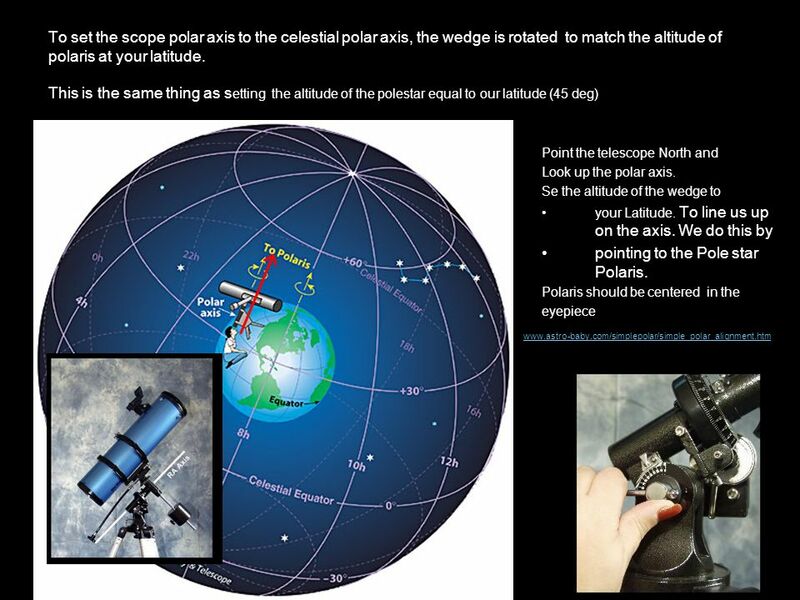 Polaris in not on the zenith but roughly 45 degrees up = our latitude above the equator Meridian facing north Lines of Right Ascension Parallels of Declination Celestial Equator The equatorial mount has the same axes as the celestial sphere. 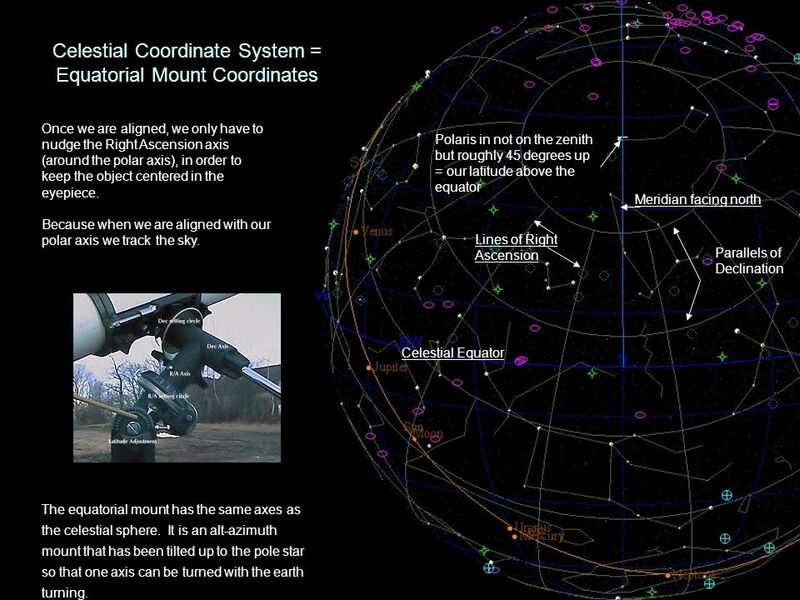 It is an alt-azimuth mount that has been tilted up to the pole star so that one axis can be turned with the earth turning. 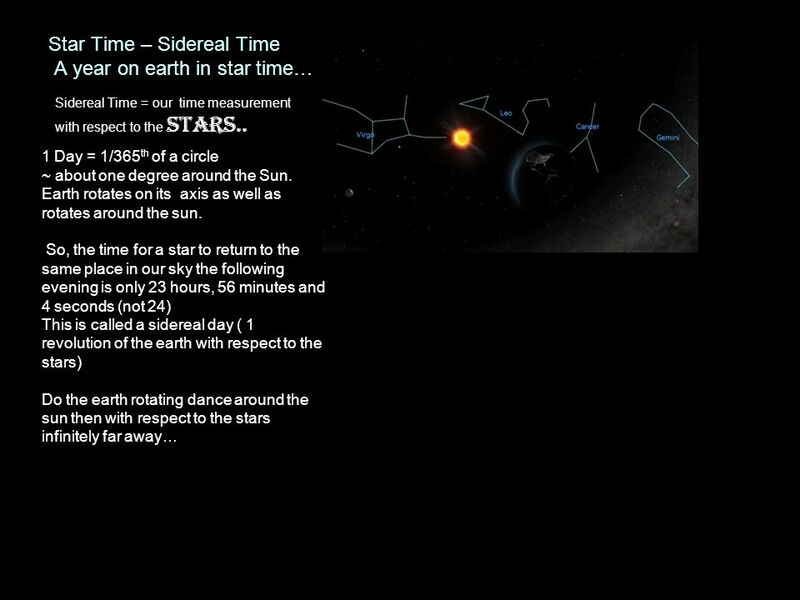 Sun is below our horizon at 10 pm along the path of the plane of the ecliptic A star is a massive, luminous sphere of plasma held together by gravity At the end of its lifetime, a star can also contain a proportion of degenerate matter. The nearest star to Earth is the Sun, which is the source of most of the energy on Earth. In a plasma gas, a certain portion of the particles are ionized. This is because the gas is heated to high temperatures at which point a gas may ionize its molecules or atoms (reduce or increase the number of electrons in them), thus turning it into a plasma, which contains charged particles: positive ions and negative electrons or ions. This figure shows some of the more complex phenomena of a plasma. The colors are a result of relaxation of electrons in excited states to lower energy states after they have recombined with ions. These processes emit light in a spectrum characteristic of the gas being excited. When a star is brought into the field of view and the spectroscope is properly focused and adjusted, you will see a beautiful spectrum with the colors of the rainbow spread out along its length. 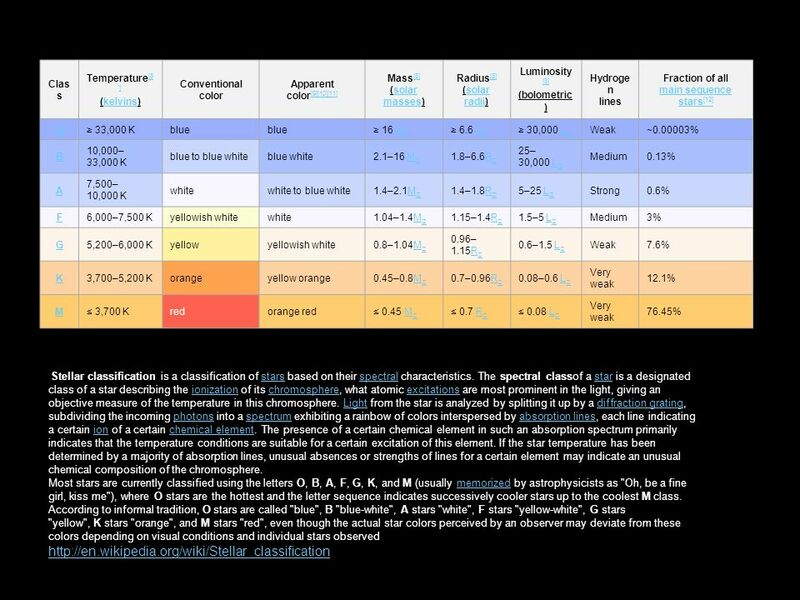 Depending on the spectral type and luminosity class of the star, and your particular setup, you may see hydrogen lines cutting perpendicular across the spectrum, or many fine lines of metals, or wide absorption bands of molecules. These lines and bands in stellar spectra have been called the "fingerprints of the stars" because their patterns identify the elements in a star's atmosphere and indicate a star's temperature. 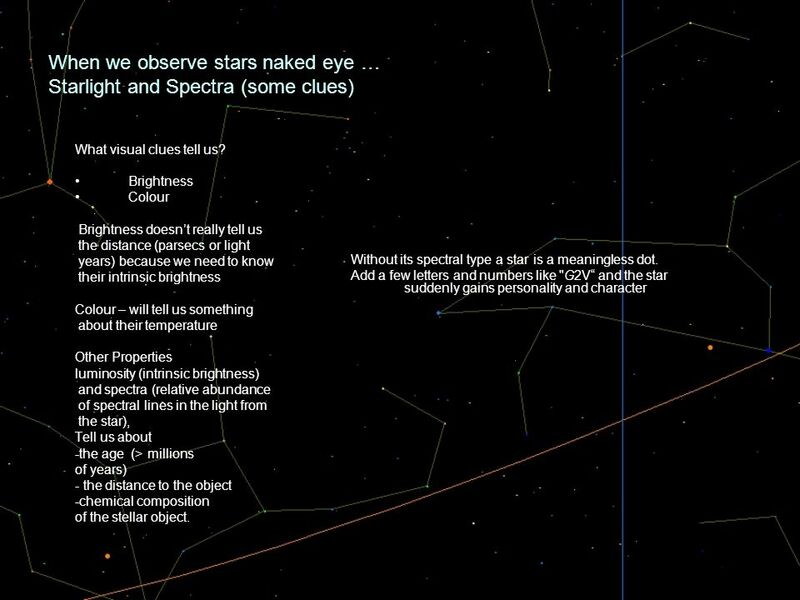 These spectral features are easy to see in some classes of stars and more difficult to see in others. 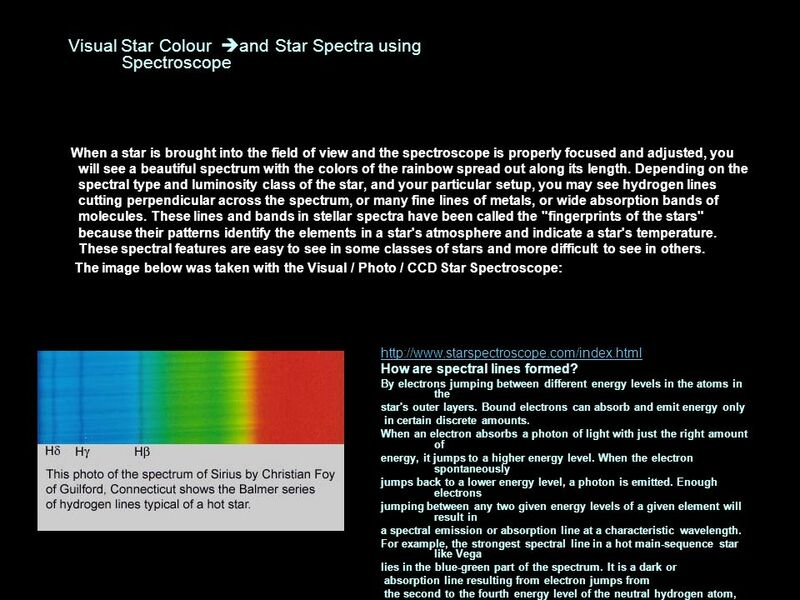 The image below was taken with the Visual / Photo / CCD Star Spectroscope: How are spectral lines formed? By electrons jumping between different energy levels in the atoms in the star's outer layers. Bound electrons can absorb and emit energy only in certain discrete amounts. When an electron absorbs a photon of light with just the right amount of energy, it jumps to a higher energy level. When the electron spontaneously jumps back to a lower energy level, a photon is emitted. Enough electrons jumping between any two given energy levels of a given element will result in a spectral emission or absorption line at a characteristic wavelength. For example, the strongest spectral line in a hot main-sequence star like Vega lies in the blue-green part of the spectrum. It is a dark or absorption line resulting from electron jumps from the second to the fourth energy level of the neutral hydrogen atom, and is known as hydrogen beta (in the Balmer series). 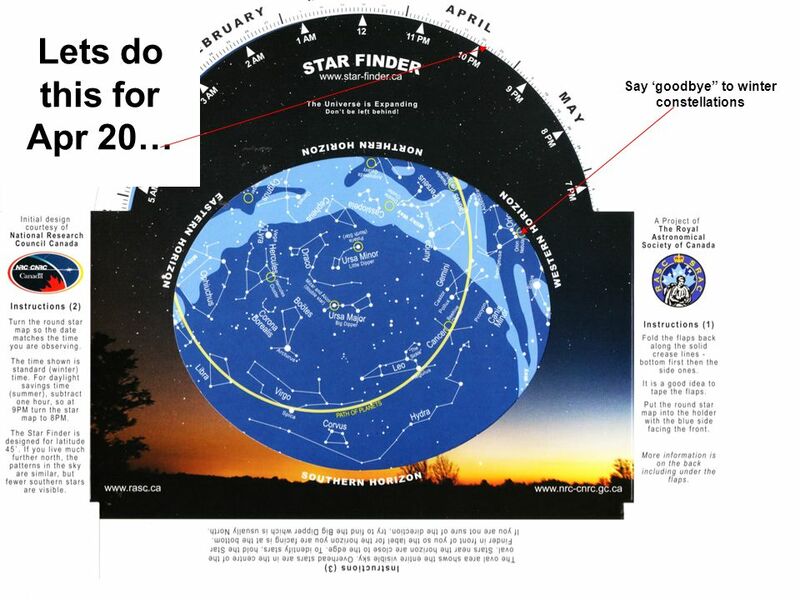 The main reason why stars are differently coloured is that some are hotter than others. 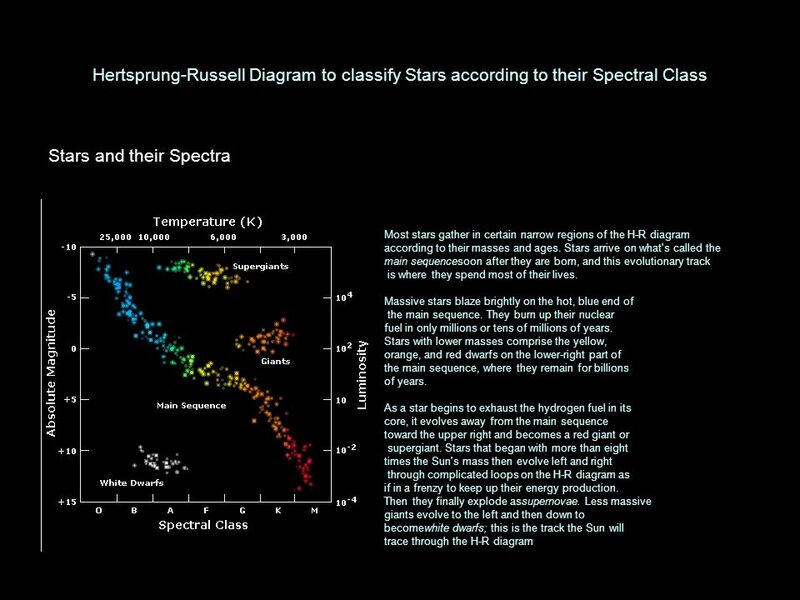 Deep in their interior all stars are enormously hot (measured in millions of degrees), but their temperature lessens towards their outer layers, and the coolest star pours out most of their visible radiation in the red part of the spectrum. Hotter stars like the Sun appear yellow, still hotter stars appear white, and the hottest appear blue. The spectral type of a star is not the same thing as its intrinsic colour although the two are closely related. When starlight passes through a spectograph ( a prism or glass grating) it is split into the colors of the rainbow, a spectrum. 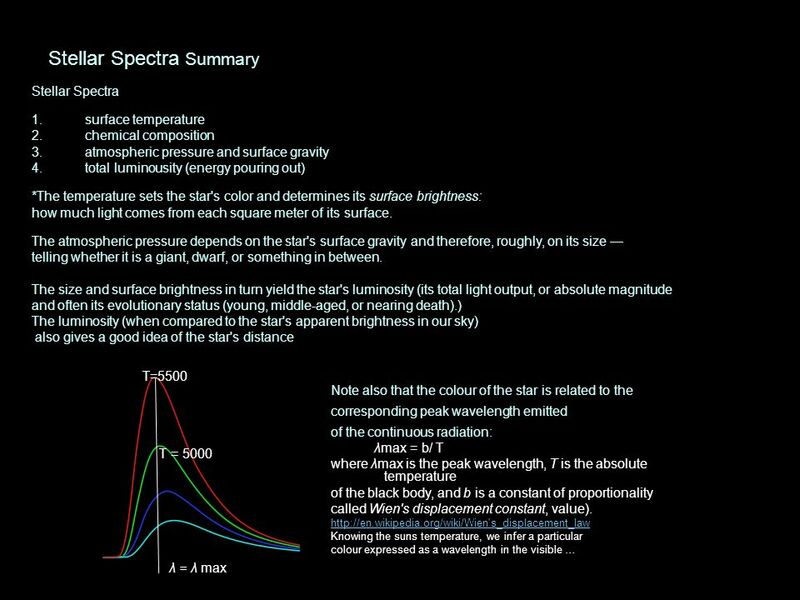 Most importantly there are spectral absorption lines that give a clue to the temperature and the chemical composition of that star Almost all starlight spectra can be assigned to one of seven main types (OBAFGKM). 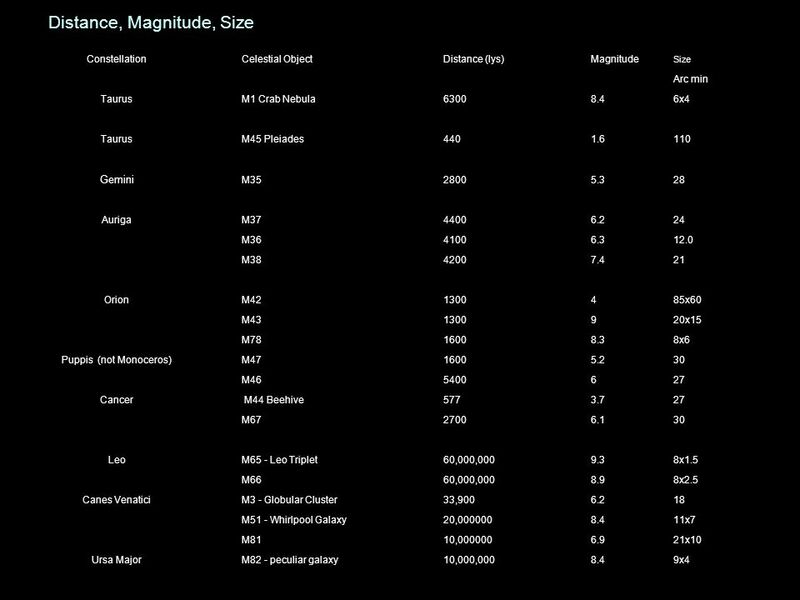 A great deal about the nature of the star can be inferred from its spectrum : how bright it really is, how massive it is, whether it is a compact main sequence star (see next slide) or a swollen giant. Broadly speaking, we can tell how old it is, and what is happening to it with respect to its hydrogen, helium or heavier element combustion process. 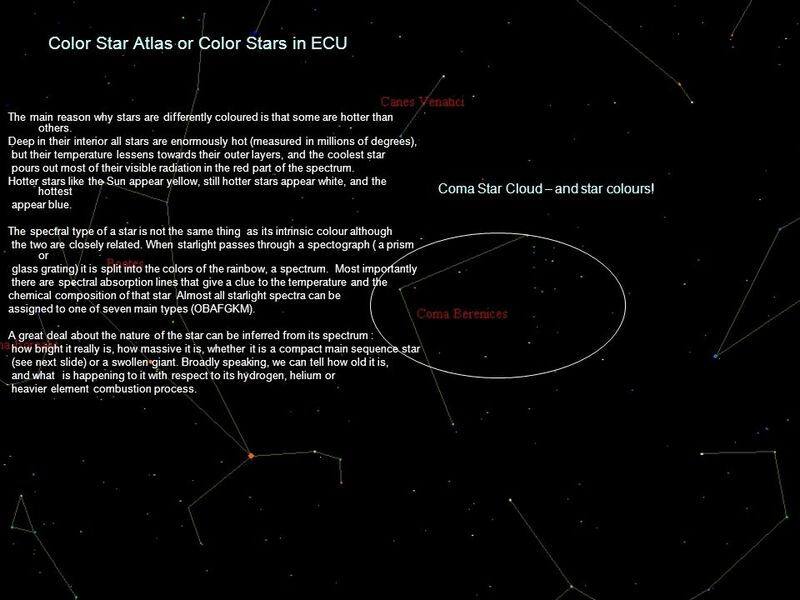 Coma Star Cloud – and star colours! Stellar Spectra tells us surface temperature, chemical composition atmospheric pressure and surface gravity, total luminousity (energy pouring out) Whether in a star's atmosphere or in a laboratory, absorption lines are produced when a continuous rainbow of light from a hot, dense object (top left) passes through a cooler, more rarefied gas (top center). Emission lines, by contrast, come from an energized, rarefied gas such as in a neon light or a glowing nebula. When I look at a star, why do I see dark absorption lines rather than bright emission lines? 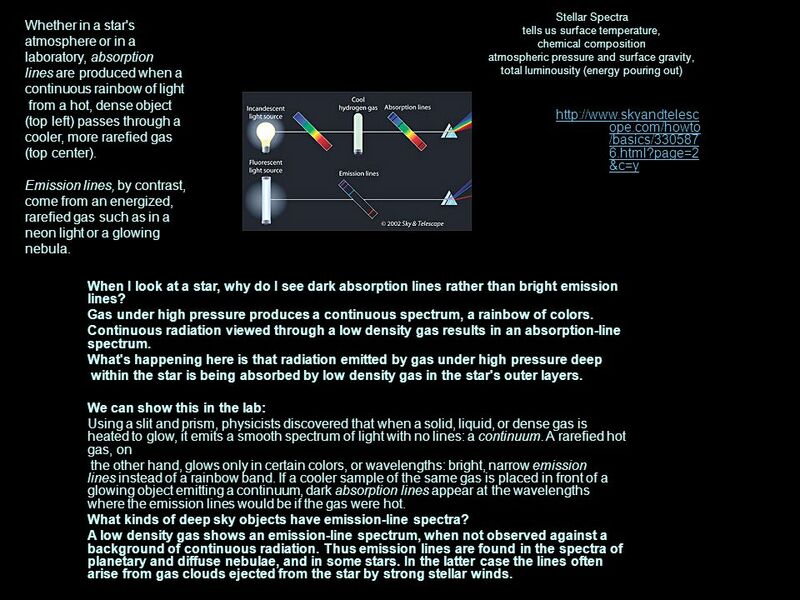 Gas under high pressure produces a continuous spectrum, a rainbow of colors. Continuous radiation viewed through a low density gas results in an absorption-line spectrum. What's happening here is that radiation emitted by gas under high pressure deep within the star is being absorbed by low density gas in the star's outer layers. We can show this in the lab: Using a slit and prism, physicists discovered that when a solid, liquid, or dense gas is heated to glow, it emits a smooth spectrum of light with no lines: a continuum. A rarefied hot gas, on the other hand, glows only in certain colors, or wavelengths: bright, narrow emission lines instead of a rainbow band. If a cooler sample of the same gas is placed in front of a glowing object emitting a continuum, dark absorption lines appear at the wavelengths where the emission lines would be if the gas were hot. 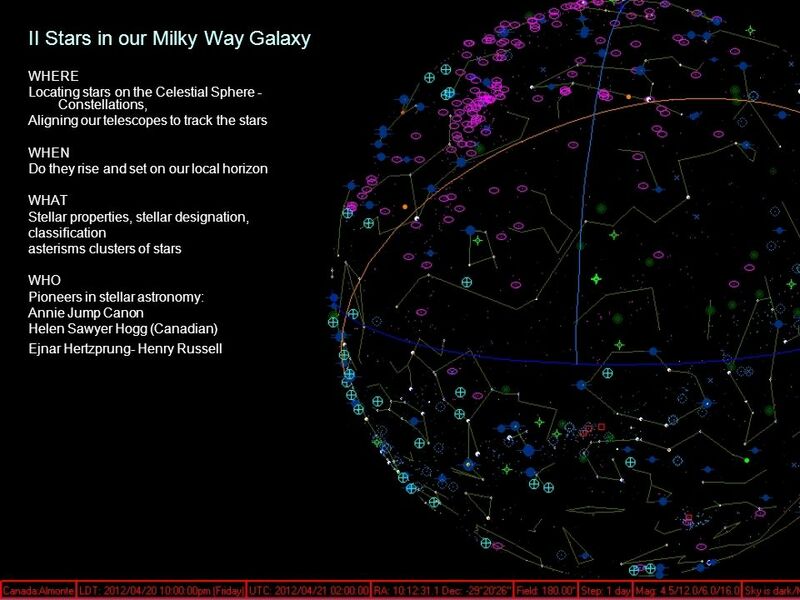 What kinds of deep sky objects have emission-line spectra? A low density gas shows an emission-line spectrum, when not observed against a background of continuous radiation. Thus emission lines are found in the spectra of planetary and diffuse nebulae, and in some stars. In the latter case the lines often arise from gas clouds ejected from the star by strong stellar winds. 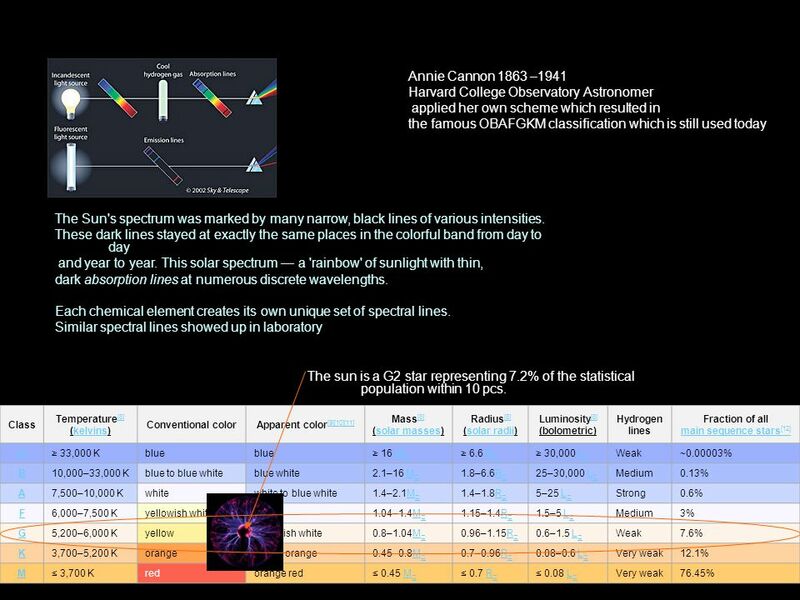 Annie J. Cannon discovered that nearly all stars' spectra can be fit into one smooth, continuous sequence. The sequence matched the stars' color temperatures, from the hottest, blue-white stars at one end to relatively cool, orange-red ones at the cool end . The basic sequence ran O B A F G K M from hot to cool. 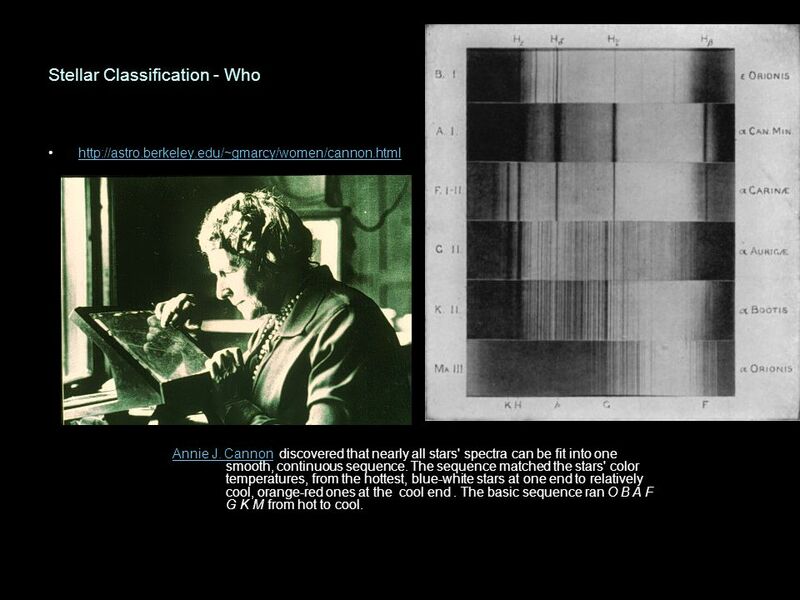 Download ppt "Instructors: Pat Browne Stephen Collie Rick Scholes Course assistant"
Spectral Type Astronomers use letters to describe the temperature Called the spectral type From hottest to coldest: O, B, A, F, G, K, M * Subdivided from. 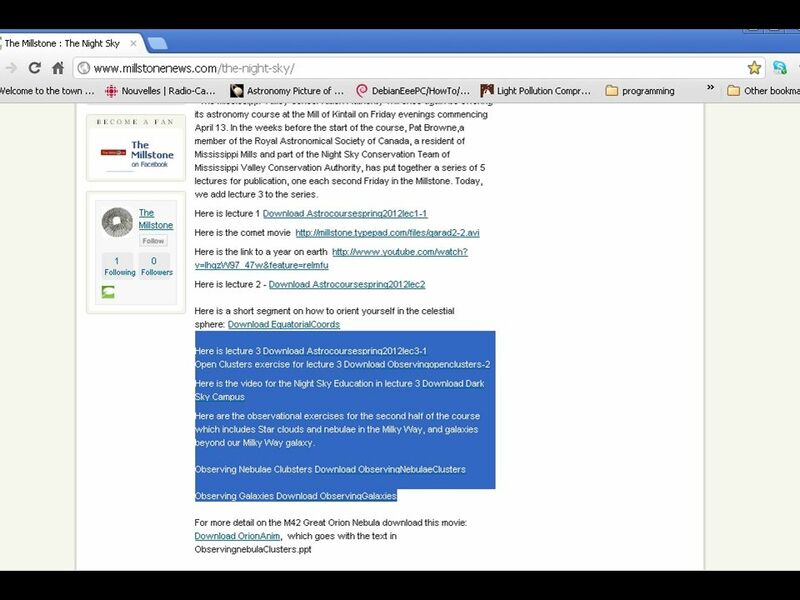 1. absolute brightness - the brightness a star would have if it were 10 parsecs from Earth. Stars & Galaxies Robert C. Newman. Stars Stars are very far away. Atoms and Starlight Chapter 6. 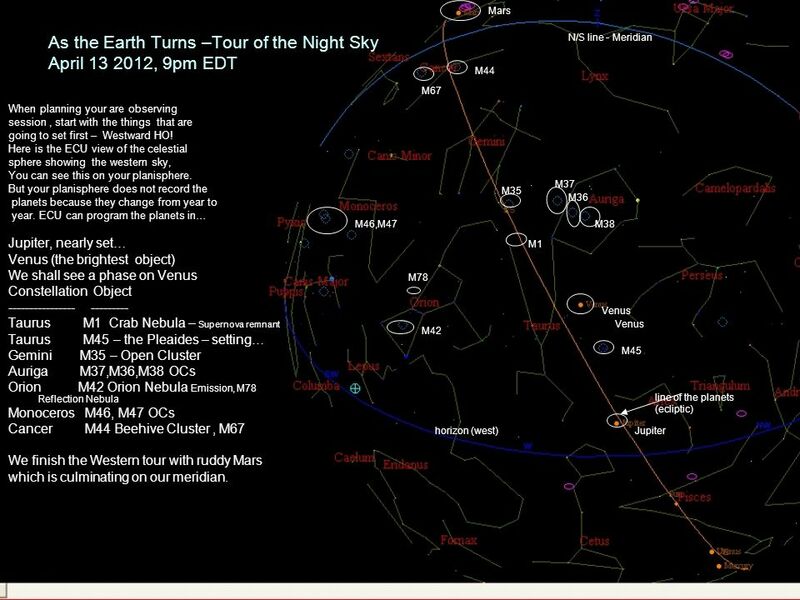 Color and Temperature Orion Betelgeuze Rigel Stars appear in different colors, from blue (like Rigel) via green / yellow. 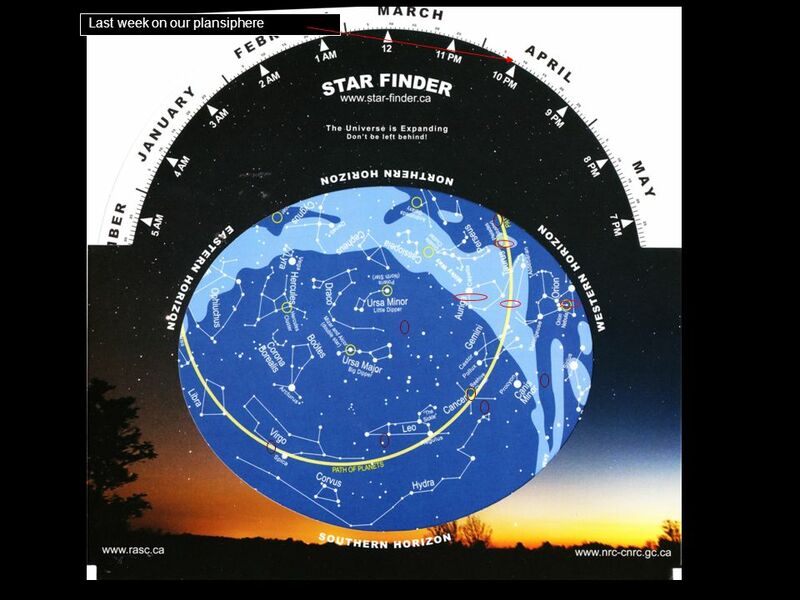 Chapter 11 Surveying the Stars Properties of Stars First let see how we measure three of the most fundamental properties of stars: 1.Luminosity. CHARACTERISTICS OF STARS. A star is a ball of gas that gives off a tremendous amount of electromagnetic radiation. The energy comes from a process called. 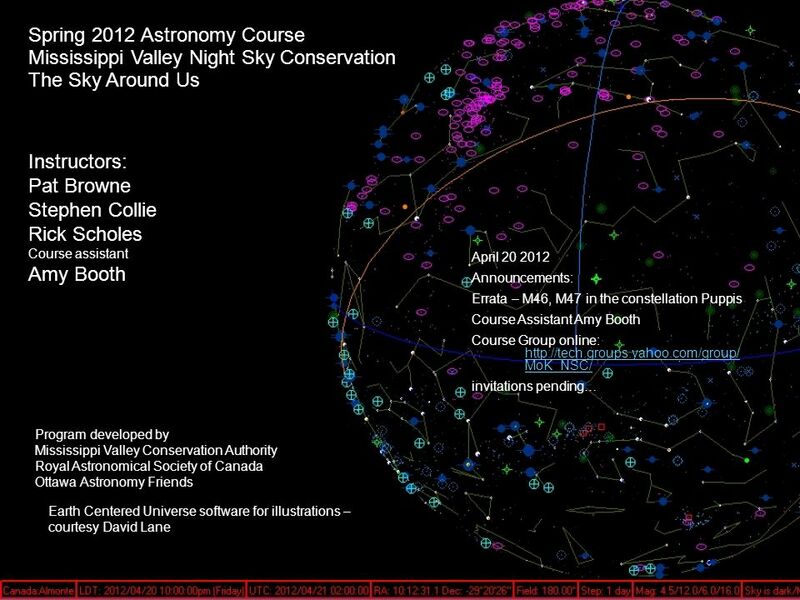 Constellations are groups of stars, sometimes in patterns of animals, or objects. 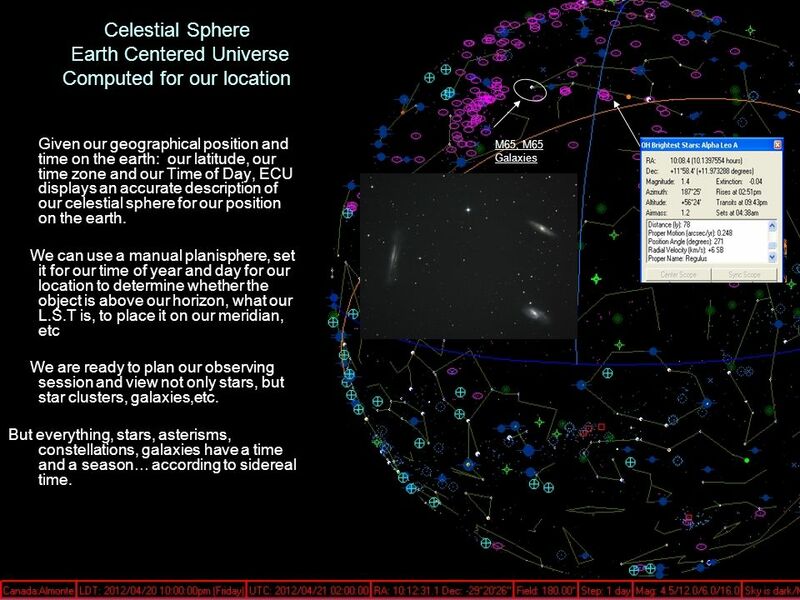 Constellations are important because they can help define where in the. 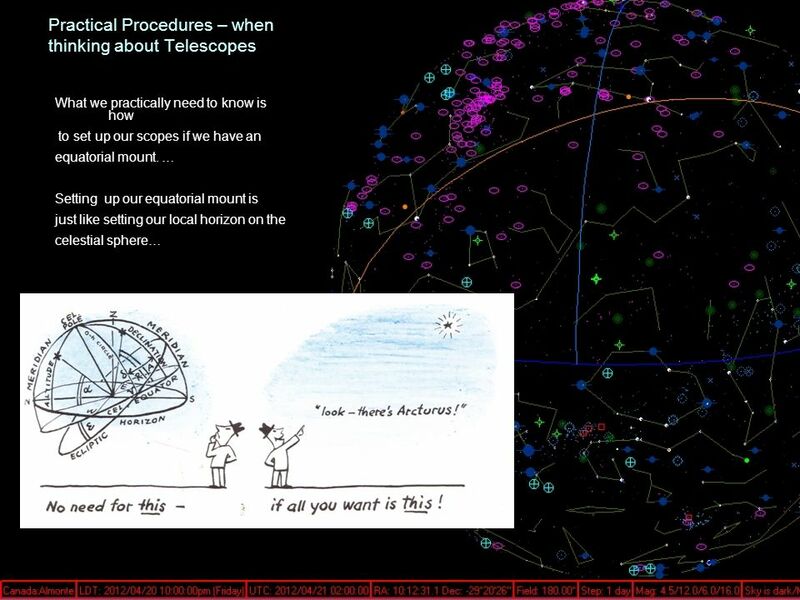 Chapter 11 Surveying the Stars Properties of Stars Our goals for learning: How do we measure stellar luminosities? 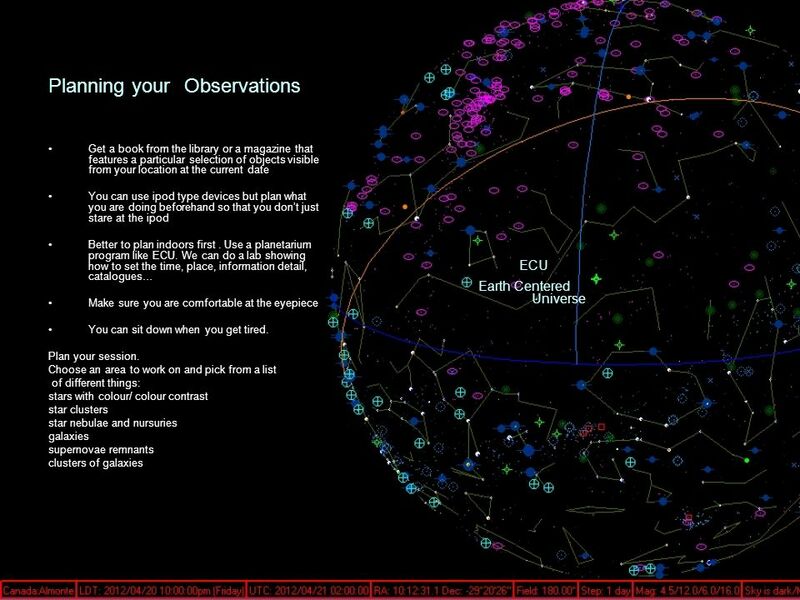 How do we measure stellar temperatures? 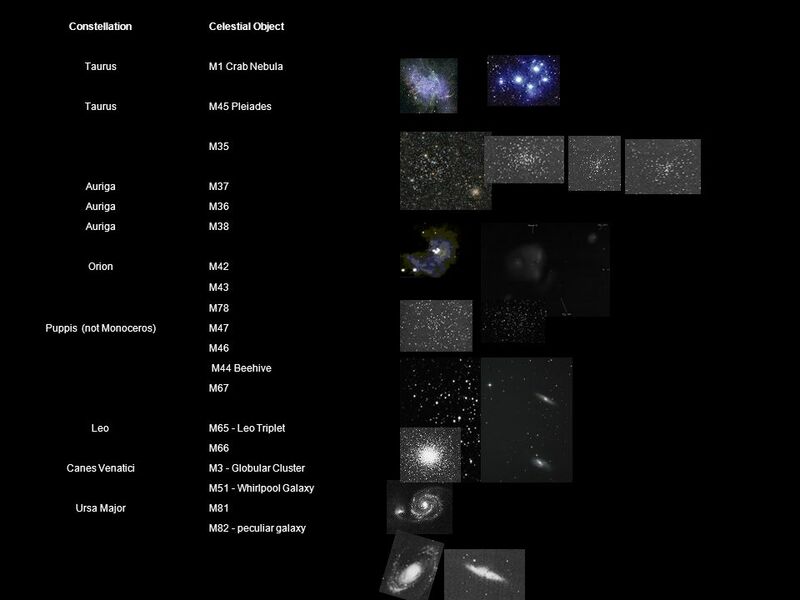 Telescopes (continued). Basic Properties of Stars. 3/24/14Mass & Weight Warm up questions: Periods 1 & 3 1.Would you weight more on Earth or on the Moon? 1.What factors do you have to consider when figuring. Unit 3: DCA Review Space. Seasons, Moon Phases, and Tides.